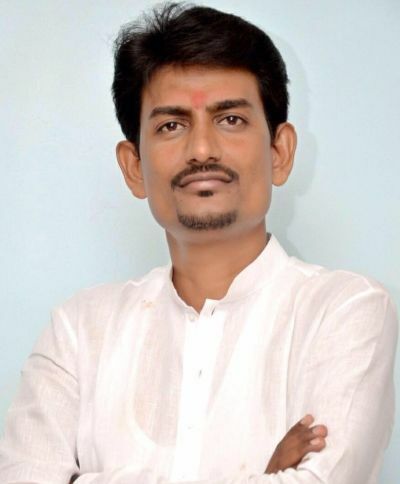 Alpesh Thakor has announced plans to boycott the Vibrant Gujarat summit in Gandhinagar. Thakor says the Vibrant Gujarat summits have done no good to Gujarat, and contrary to claims have created no employment for Gujaratis. He has taken out morchas across Gujarat to protest against Vibrant Gujarat and promises to disrupt the event. Thakor, image, left, tells Rediff.com's Syed Firdaus Ashraf why he feels Vibrant Gujarat is a disaster for Gujarat. Why are you protesting against Vibrant Gujarat? Vibrant Gujarat is being held since 2003. They claim to have got investments worth crores of rupees into the state. They say 51,000 companies have set up shop in Gujarat, but the fact is that today, there are 60 lakh (6 million) youth in Gujarat who have failed to find employment. By bringing these big companies to Gujarat all small industries in the state have folded up because they could not face the competition. And due to this local Gujaratis are not getting jobs. Now our demand is that 85% Gujaratis must be given jobs. Secondly, the Gujarat government must show us the figures of how many Gujarati locals got employment because of the Vibrant Gujarat summits. They are spending crores of rupees on programmes like Vibrant Gujarat, but Gujarati youth are not getting employment. Why do you think Gujarati youth are not finding jobs? The reason is the government is not paying attention to creating jobs for locals. Our fertile lands are being given to industrialists and they are getting tax benefits to start companies. They are promoting industrialists, but in return Gujaratis are not benefitting from it. Go to any village in Gujarat and you will find workers are being employed by factories for eight months after which they are sacked. That is why we are protesting. You are talking of permanent employment, which is difficult to find in these times, isn't it? Contract work is a reality of our times. Agreed, but even skilled Gujarati youth are not getting jobs. They are not even getting temporary jobs. Maybe local Gujarati youth are not that skill oriented to get jobs in those big factories? These companies are giving in writing that 85% of local Gujarati youth will get jobs after they set up factories. Why are they doing this, then? Remove this clause. The government says they are creating local employment, but the reality is they are not creating any local unemployment. Many Indians from other states come to Gujarat for employment. We are talking of local employment because the local youth of Gujarat are unemployed today. There are 60 lakh unemployed Gujaratis, where will they go? We too are Indians, yes, but what about skilled Gujarati youth? They are not getting jobs in Gujarat. So how are you protesting? We are taking out a morcha of unemployed youth on Friday and if our demand is not met, we will stop the Vibrant Gujarat summit. Lakhs of Gujarati youth are joining our morcha, which is a non-political event. Do you plan to join hands with other agitationists like Hardik Patel, Jignesh Mewani to take on the BJP in Gujarat? Our agitation is on local issues right now, but in future if our people want to join politics we will do that. Right now there is no plan to form a political party, but in the future anything can happen. They promised 85% jobs to local Gujaratis, but this was never done. On the ground you do not see that reality. Will you follow similar tactics like Raj Thackeray whose Maharashtra Navnirman Sena beat up North Indians because they were taking jobs away from locals? We are demanding jobs. Every Indian is our brother, but what we are saying is that give us jobs because we are locals. We have the skills, so give us employment. We welcome outsiders and are not against them. But migrant labour is cheap, how can any business go against cheap labour? That's why we have told the Gujarat government to remove the clause that 85% of local Gujaratis will be given jobs. They make tall claims in Vibrant Gujarat programmes that they are creating jobs for 50 lakh (5 million) Gujaratis, which is a lie. But outsiders are getting jobs in Gujarat. That is the issue. Outsiders are getting jobs, but not Gujaratis. Are you saying jobs in Gujarat should only be for Gujaratis? Not for Gujaratis alone. There is a rule in Gujarat that 85% of local people must be given jobs and the rest 15% jobs be given to outsiders. We want this to be implemented. If this is done properly, then 60 lakh Gujarati local youth will be employed. Today 1.49 lakh (149,000) small industries have shut shop in Gujarat. The cotton industry is in a bad shape. The diamond industry and ceramic industry too are facing difficult times, so where will local Gujarati youth get jobs from? The Gujarat model which is being shown is not the right picture. Farmers are not getting their dues, youth are unemployed and factories have shut shop. How many Gujarati locals have got jobs in the state? Less than 6% of local Gujaratis have got jobs in Gujarat. This figure is from an RTI plea of 2011. The government says they are creating 85% jobs for local Gujaratis, but the RTI figures do not prove that. If the situation is so bad, why are people not protesting on a large scale? Earlier, during Narendra Modi's era (as Gujarat chief minister), politics in Gujarat was run by fear. Today, the situation is different. The youth of Gujarat have woken up. Poor people have woken up and realised that Vibrant Gujarat has made the rich richer and the poor poorer. I have travelled to thousands of villages in Gujarat and I have seen the situation is very bad. Vibrant Gujarat was a disaster for Gujarat. Gujaratis did not benefit anything from it. I have challenged the people in government to discuss this issue with me, but no one has come forward to discuss it. Vibrant Gujarat was always media hype and a flawed model of Gujarat was highlighted as the development model. Nobody spoke earlier on this because everyone feared the Modi regime in Gujarat. I am not anti-Modi. I do not want either the BJP (Bharatiya Janata Party) or the Congress. I am only saying that I want jobs for local Gujaratis. 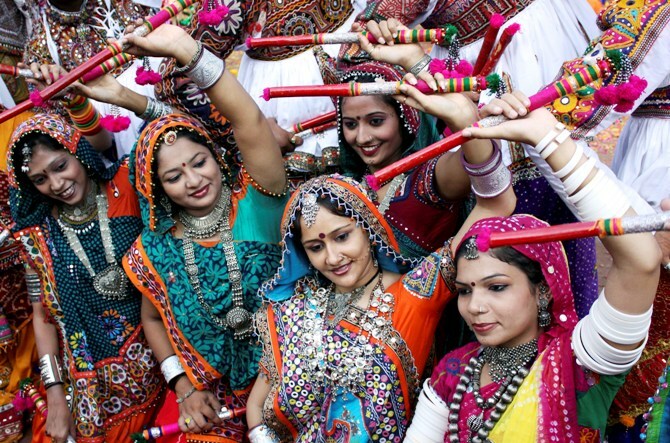 A VIBRANT Gujarat, but for whom?